The Tantalize series features YA Gothic fantasy novels in both prose and graphic formats. These stories, set in the Tantalize-Feral universe, are suspenseful with high action and include romantic elements as well as some humor. The first novel was released in 2007. 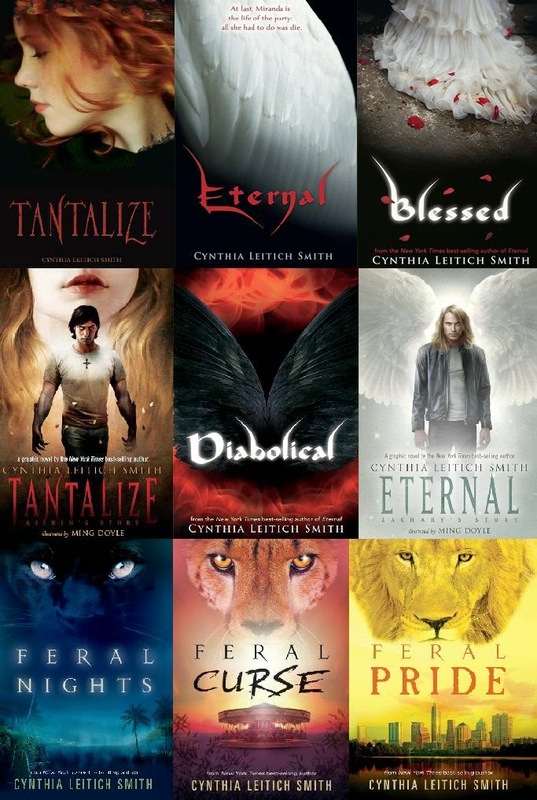 The Tantalize heroes appear and/or are mentioned in Feral Pride, which caps all nine books. The novels are centered on a fictional restaurant, Sanguini's, located on South Congress Avenue in Austin. I began working on first book, which had a working title of "Brad: The Impaler" in 2000. The original concept behind all the books is that the events in Bram Stoker's classic Dracula (1897) are loosely based on truth and my stories take a look at how that legacy manifests in present day. They're set in an international multi-monster verse, populated with vampires, a variety of shapeshifters, angels, ghosts, demons, faerie, and more. Both series are originally published in the U.S./Canada by Candlewick Press and in the U.K. by Walker. Various other editions are available around the globe.